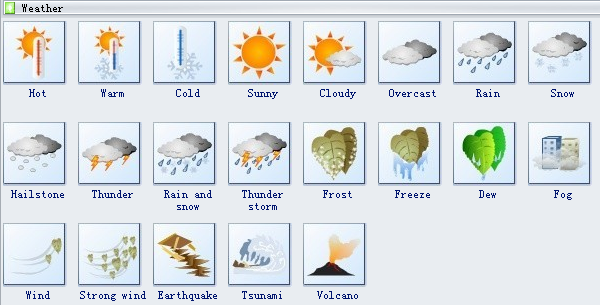 The following weather clip art templates contain some weather vector shapes such as hot, warm, cold, sunny, cloudy, overcast, rain, snow, hailstone, thunder, rain or snow, thunder storm, frost, etc. 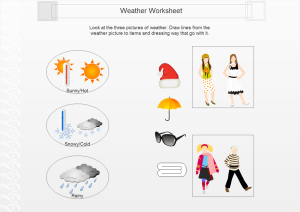 A free worksheet for kids is designed to help kids learn to recognize basic weather through funny exercises. 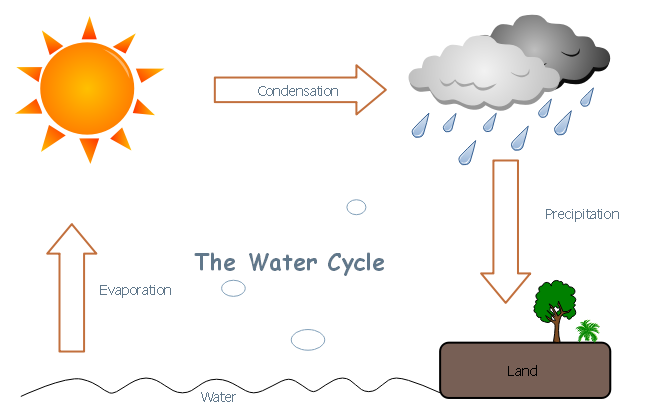 It allows anyone to download and use. 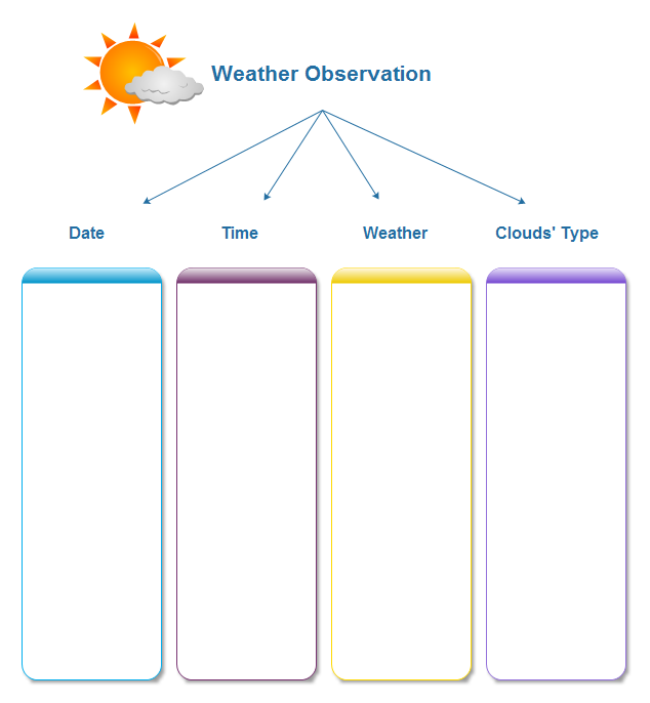 Use Edraw illustrations and easy to use tools to create more teaching materials. 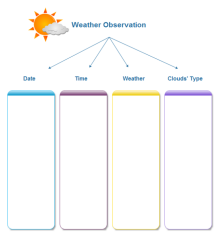 You can design similar worksheets in an easy-to-use worksheet design tool. 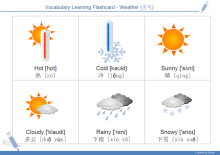 See how to take advantage of flash cards for vocabulary learning. 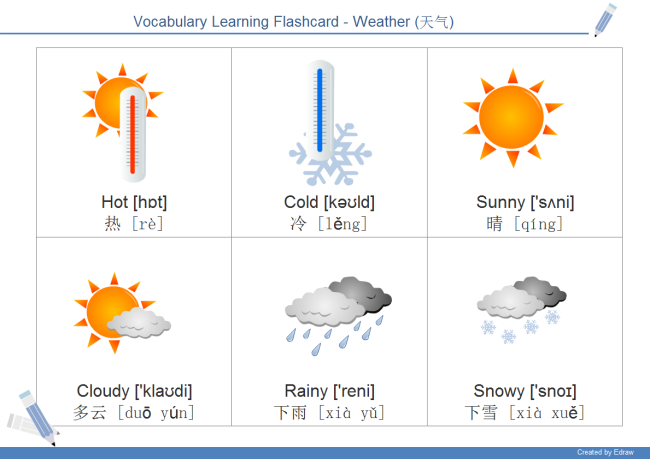 You can also learn to design you rown flash cards easily.